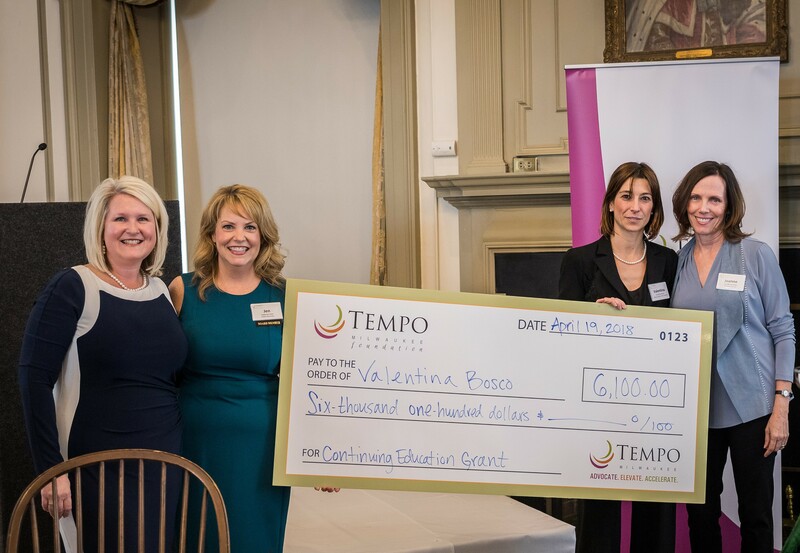 Valentina Bosco had the good fortune of receiving the TEMPO Milwaukee Foundation Continuing Education Grant in April 2018, but she says the process of applying was worthwhile in and of itself. Over the course of a few weeks she thought about such opportunities, including a business management course or labor relations certificate, and discussed them with her mentors. Ultimately, Bosco decided to remain focused in her discipline and pursue a strategic human resources program. Her selection, the Advanced Human Resource Executive Program at the University of Michigan’s Ross School of Business, is renowned as one of the most prestigious in the industry. With so many continuing education options out there, Bosco’s advice to finding one that will make an impact is know what’s important to you and let that be your guide. For her, it helped to ask the question, “what problems am I helping others solve?” Since returning from Ann Arbor this fall, she’s used her new knowledge to not only bring a fresh perspective to her role, but she’s transferring her learnings to colleagues to support them in their own problem solving.